Preheat George Foreman grill by plugging it in, or setting it to MAX, 400°F or setting 4. With a sharp paring knife, slice each side of date from top to about ¾ ways down. This will help create a pocket for goat cheese. Cut goat cheese into 16 small pieces and stuff inside date pocket. Cut each slice of bacon in half and wrap around stuffed dates. 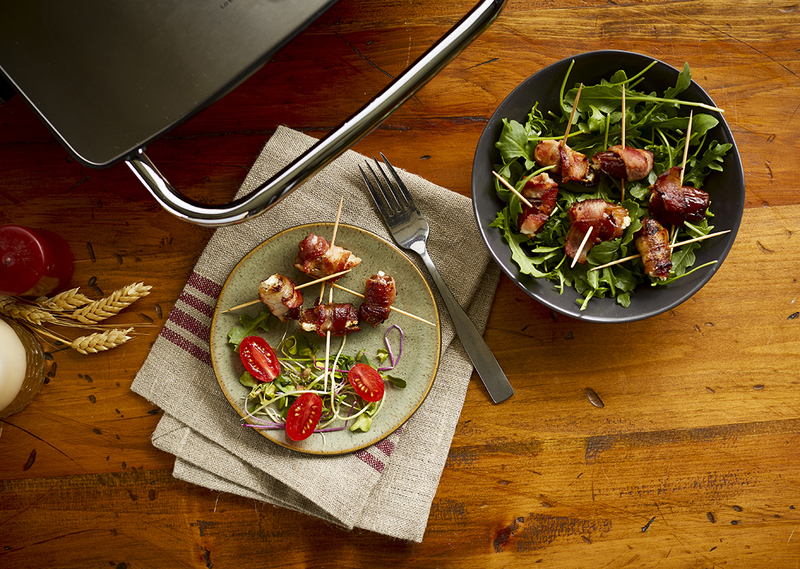 Push toothpick through bacon and date to hold bacon while grilling. Place dates on preheated grill and close lid. Grill for 10-12 minutes, until bacon is crispy. Note: If grilling on Indoor/Outdoor grill, grill for 10-12 minutes per side. Drizzle warm dates with honey before serving.